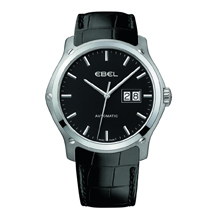 The EBEL Classic Hexagon watches enshrine the quintessence of time within their sculptural lines. 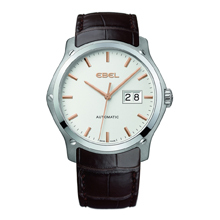 Timeless and thus beyond fashion; classic and contemporary; appealing to both men and women. The collection is enriched with two new models that size each other up so as to achieve greater unity, observing each other carefully in order to strike a perfect balance. Contrasting and yet complementary; one black, the other white; yet bound together within the same time characterized by the obvious attraction of opposites that revel in and share their differences. Although originally dedicated to men, the new Classic Hexagon watches are just as happy to wrap themselves around a feminine wrist. As loyal companions of each and every moment of daily life, they spontaneously lend themselves to the full range of professional and leisure activities. Inherently versatile, they confirm that true elegance transcends age and gender. Embodying a blend of creativity and rigorous conceptual principles, these watches are endowed with the noble beauty of pure equilibrium. The 41mm-diameter geometrical monohull case symbolizes the spirit of a brand at the crossroads between functions and artistry, between the moment in hand and eternity – exactly like a work of architecture. The beautifully understated dial with its large date display opts for the simplicity of three hands rather than indulging in aesthetic excess. The leather strap is naturally integrated with the case in a classically contemporary spirit, ensuring that the timepieces are firmly anchored in reality. 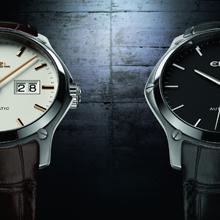 More than just watches, the new Classic Hexagon models convey a lifestyle that is urban, contemporary and authentic. In sync with today and well prepared for tomorrow.